The ultimate Yuletide fairy tale. No plum pud till you’ve read it! Christmas? Bah, humbug! Ebenezer Scrooge is a miserly old skinflint. He’s horrid to everyone. The spirit of Christmas? Forget it. But then three ghosts pay him a visit. One shows him Christmas past. One shows him Christmas present. And one shows him an eerie Christmas future. It’s like a horrible nightmare that Scrooge desperately wants to wake up from. Can he change his nasty ways before it’s too late? Truly a classic, never gets old. It is a classic heartwarming tale. This is my very favorite Christmas story! It’s so sweet, funny, and exciting. 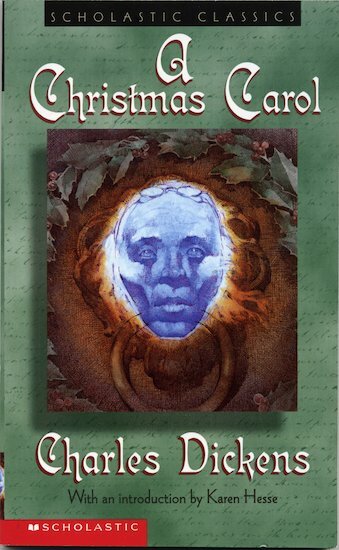 I love to read this every Christmas. Charles Dickens is a great storyteller! I really liked this book and the film was great! This book is perfect for all readers. It is so interesting,you want to the page every time.I loved it.